This elegant dharma wheel inspired 18 Karat white gold diamonds pendant is finely set with 9 sparkling round brilliant diamond in the centre and 14 diamonds around the wheel. The grain edge design gives the ring an elegant and vintage finish. 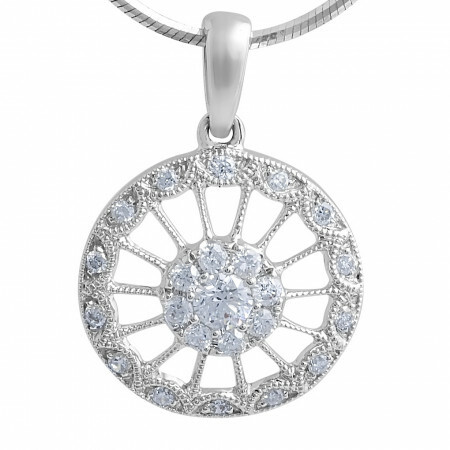 18 Karat Vintage diamond pendant 23 Round Diamonds: 0.24 Carat. Width: 12.8 mm.